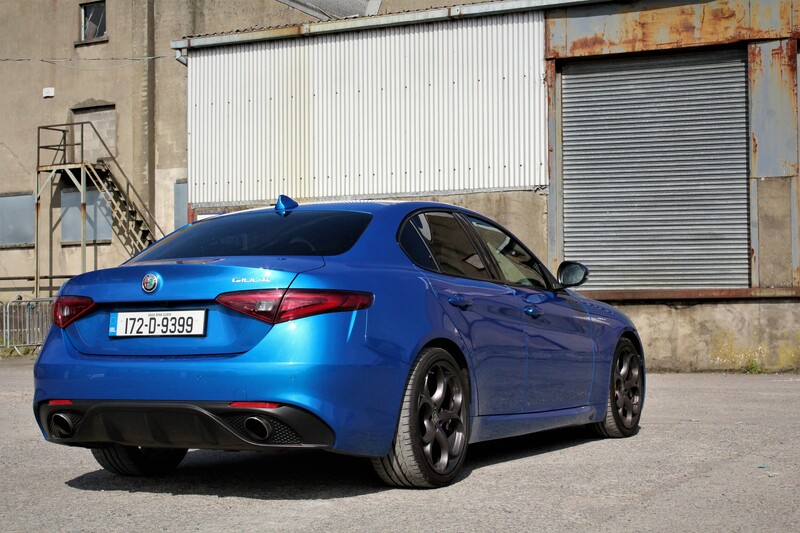 It has been well over a year since the Alfa Romeo Giulia launched to the Irish market. As the weeks go by, I notice more and more Giulia’s on the road. 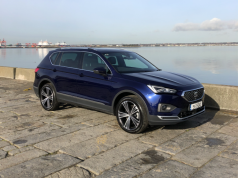 The question then, are the tides eventually turning for the Italian brand as they re-establish their position within the Irish market and indeed further afield? 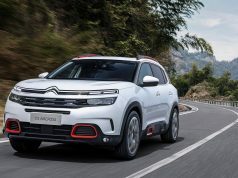 Granted, their sales won’t have any massive impact on their German counterparts such as BMW, Mercedes and Audi but it continues to offer a respectable alternative which many are longing for. Whilst most of us can only dream of affording the range topping Giulia Quadrifoglio which pumps out 510hp, the addition of the Giulia Veloce offers a brilliant middle ground in terms of power delivery and price. 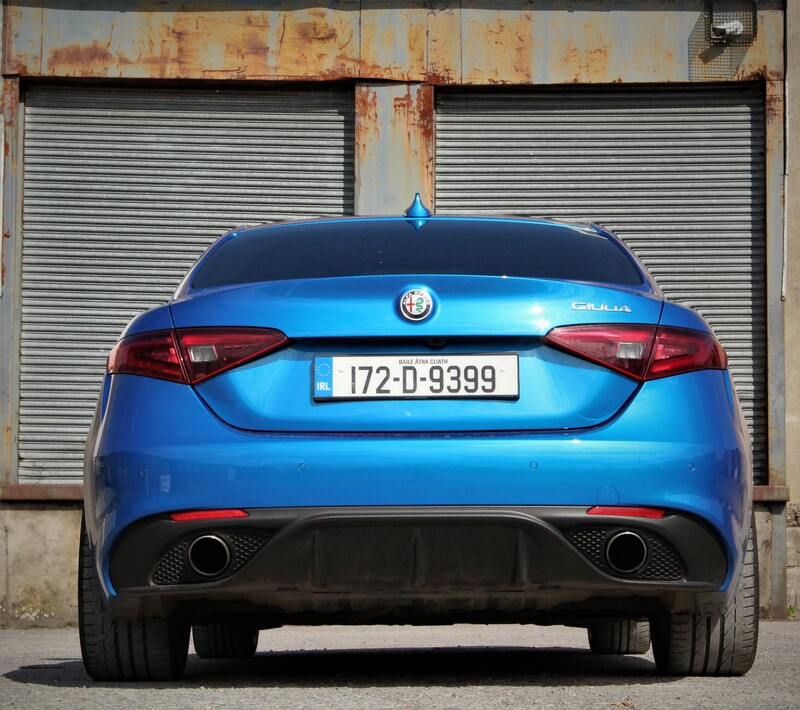 Utilising the same 2.0 litre turbo charged petrol engine that you will find in the lower spec’d trim levels, Alfa have done some technical wizardry to increase the power output to 280hp as well as providing additional torque to the tune of 400Nm. BY comparison to the lower spec’d and less powerful versions of the Giulia, the Veloce offers increased pace and entertainment. 0-100km/hr is reached in 5.7 seconds which is enough to embarrass many car owners at the traffic lights! All models within the Giulia range are mated with a seamless 8-speed automatic transmission. 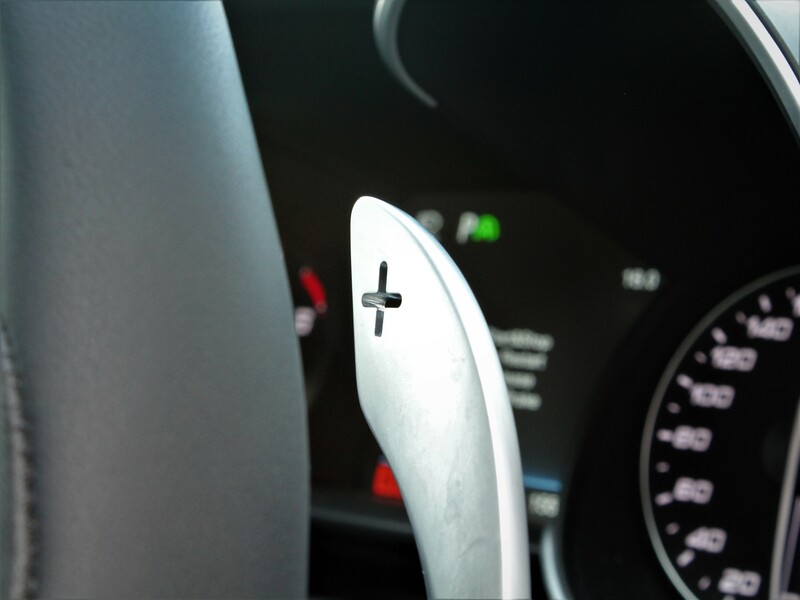 The addition of the large paddle shifts mounted on the steering column allow you to manually select gears also. 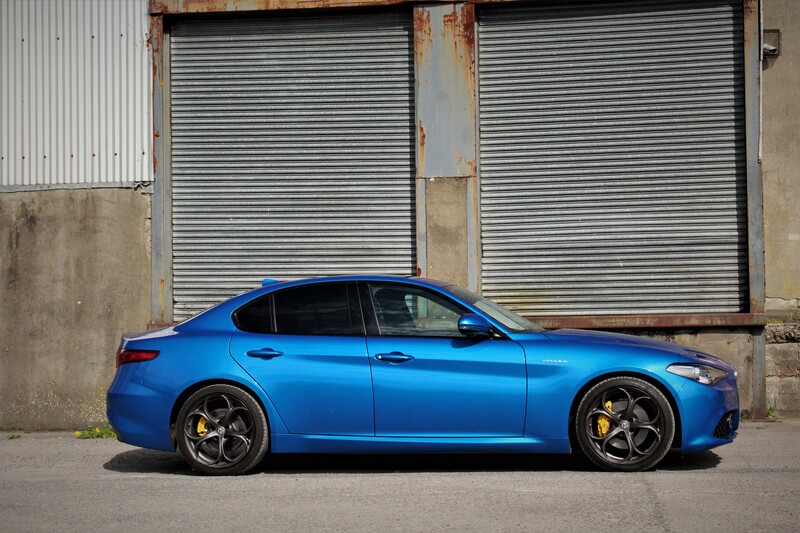 The sporty character of the Alfa Romeo Giulia Veloce is evident throughout. It has been built boasting short overhangs, a long sloping bonnet, the longest wheelbase in its class (when it was launched) and a muscular appearance. 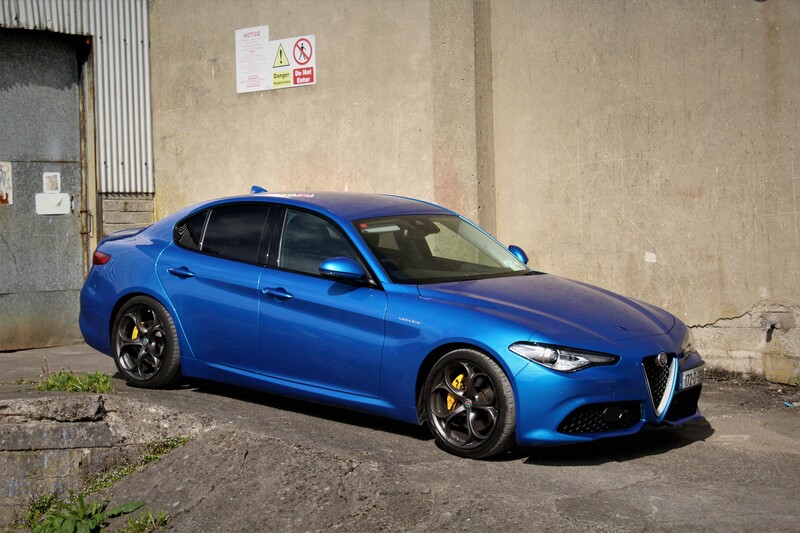 The exterior and in particular that of my test car finished in “Misano Blue” paint catches the eye from every angle. You catch glimpses where you think it resembles something else and when you look again you see it differently. 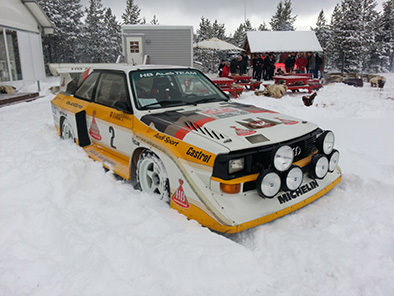 It has a stance to it that just oozes the sporty appeal that we all loved of Alfa’s from years gone by. 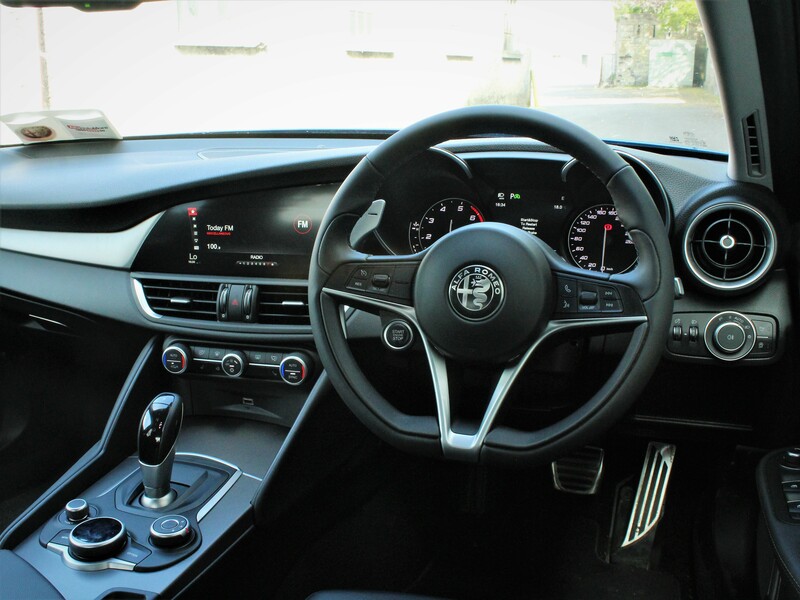 Sitting into the Giulia Veloce you will be greeted by the Veloce sports leather seats offering some excellent bolster and support. Finding your optimum driving position is achieved with ease given the range of electrical adjustment in the seating and steering wheel positioning. Whilst I wouldn’t always be a fan of paddle shifts which are mounted on the steering column, given their size in the Veloce they seem to work well. Like the other trim levels, the start button is located on the leather sports steering wheel, again adding to the racing heritage within the Alfa Romeo. In terms of interior finishes, the Veloce benefits from the addition of aluminium affect inserts as well as aluminium sports pedals. The cabin remains a nice place to be with its de-cluttered approach and an interior designed around the driver. Where the Veloce differs the most from its lesser powered siblings is obviously on the road. It really is a fun car to drive. The additional power affords you the opportunity to experience the agile and engaging chassis that the engineers worked tirelessly to perfect. The Veloce feels planted and well gripped through even the tightest of bends. 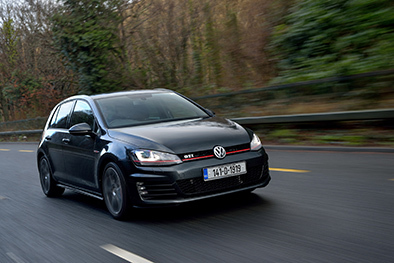 As you push along the winding country roads and utilise the paddle shift gear selectors you gain full control of every engine rev, gear selection and turn of the wheel. The chassis design is quite simply, excellent. 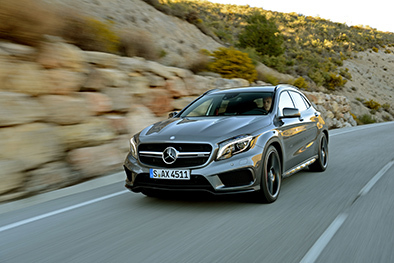 Your confidence is further amplified by the strong body control and direct and quick steering. It should be noted that the most engaging drive in the Veloce is achieved in the “Dynamic” mode of the Alfa DNA driving settings. It is all well and good having fun in the Veloce and it performs just as well in a daily driver format. Road noise is almost none existent on even the harshest surfaces and comfort levels are rarely compromised. One thing, and it is only a small complaint is that the materials utilised on the interior could be better. They feel slightly cheaper than the competition. 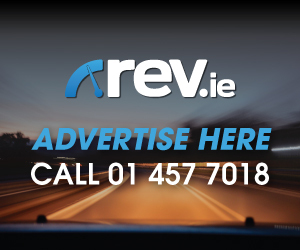 All in all, the Alfa Romeo Veloce is a brilliant, driver focused car which will give you plenty of smiles and comfort is a plenty. 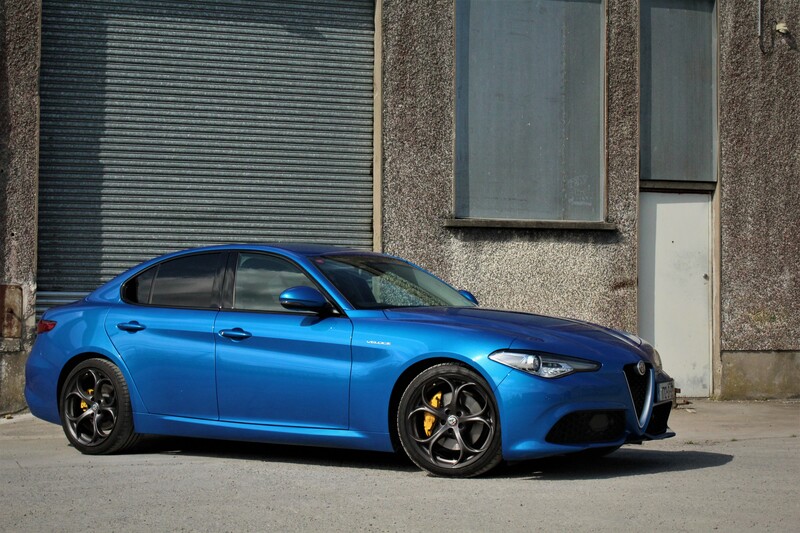 If you find yourself getting bored of the German competitors, I would suggest throwing the Giulia Veloce into the mix.